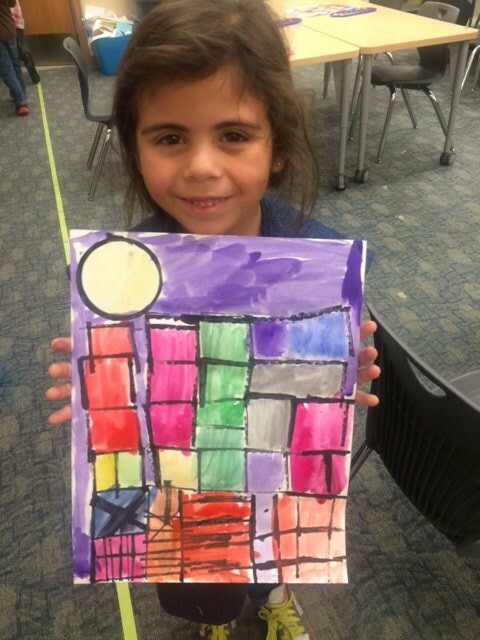 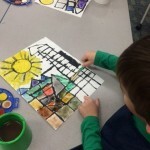 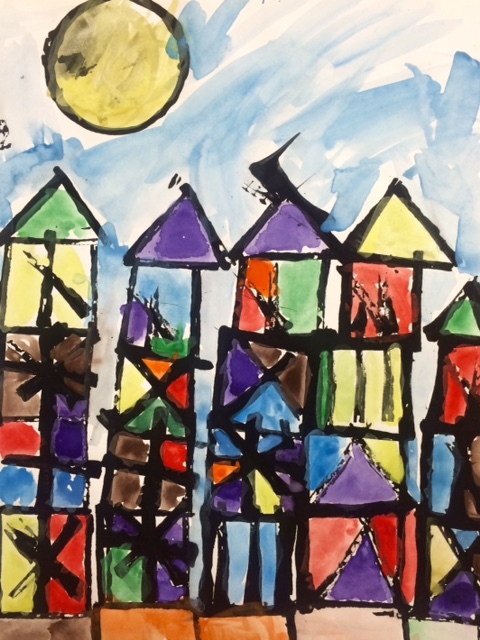 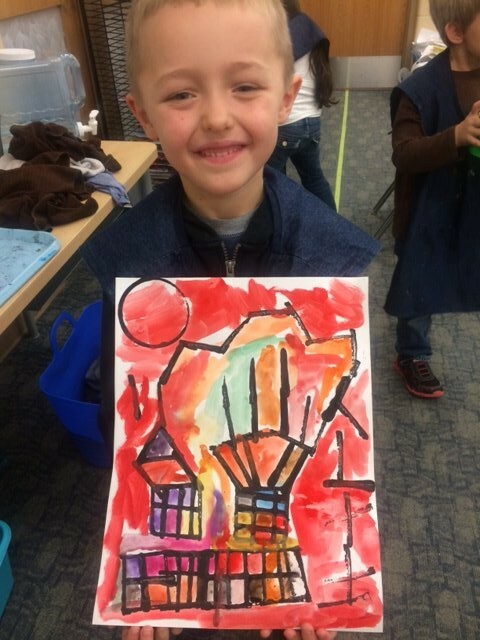 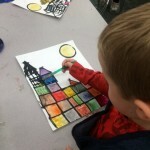 Kindergarten artists at Georgetown Elementary learned about the Swiss painter Paul Klee. 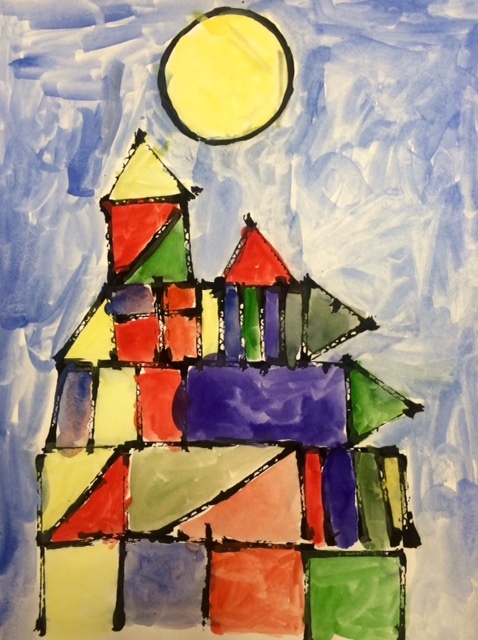 They viewed his painting entitled “Castle and Sun” and discovered that he liked to use many shapes in his paintings. 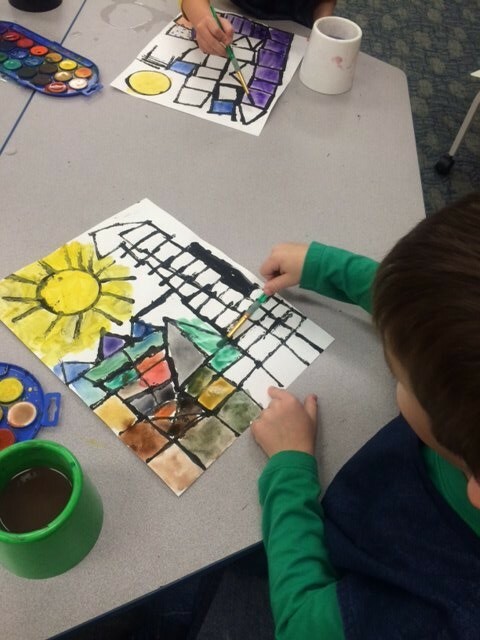 After identifying geometric shapes in the painting, the Kindergarteners created their own castles and suns using the same shapes. 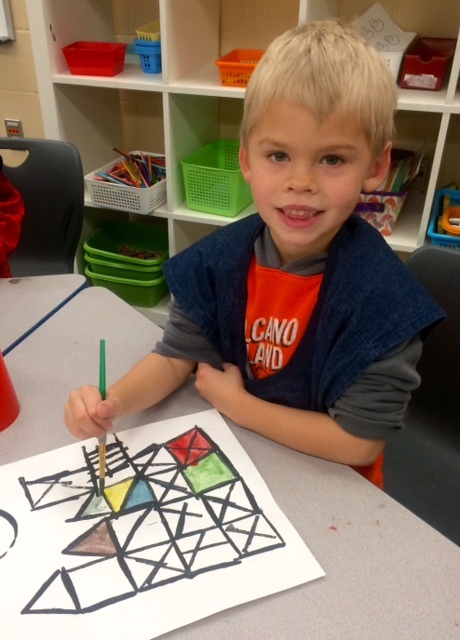 Kindergarten artists learned they can print shapes using every day objects like cardboard and cups. 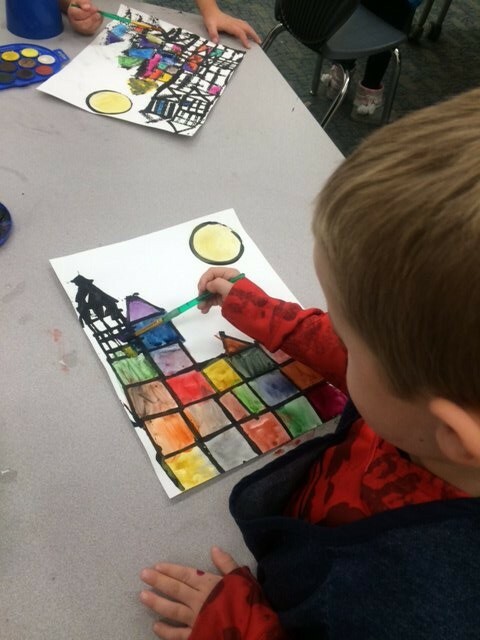 After the shapes were printed and dried, they added color using watercolor paints. I can learn about the artist Paul Klee. 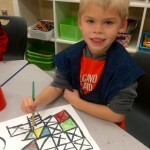 I can print geometric shapes using everyday objects.